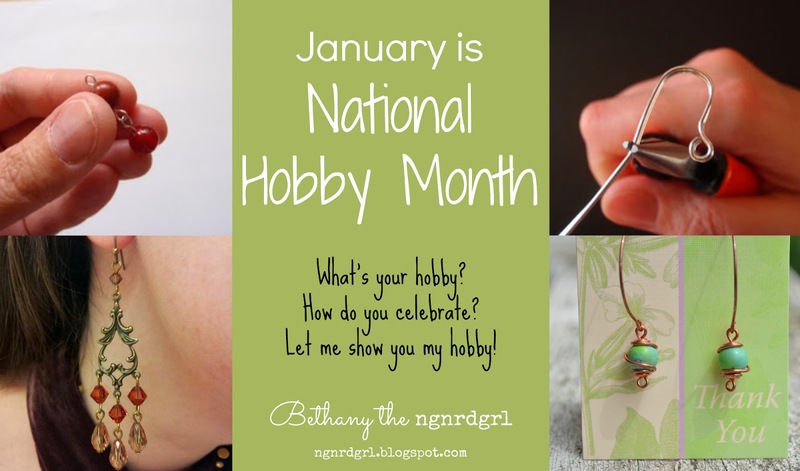 I didn't realize January is National Hobby Month, did you? I guess it is fitting that two years ago I started two new hobbies in January. I think January is the perfect time for starting a new hobby because it is right after New Years. This is the time to try something new and exciting. And a new hobby fits right in with your New Years resolutions. I decided I wanted to do blogging and jewelry making two years ago practically to this day. Of course, it took me longer than one month to really get going. It helped that my mom gave my a gift certificate and tools for jewelry making for my birthday (in February). It took longer for me to get up and going on blogging. This past year my jewelry making hobby took a nose dive, so this year I am recommitting myself to jewelry making as my hobby. And what perfect timing to start back up than in National Hobby Month? 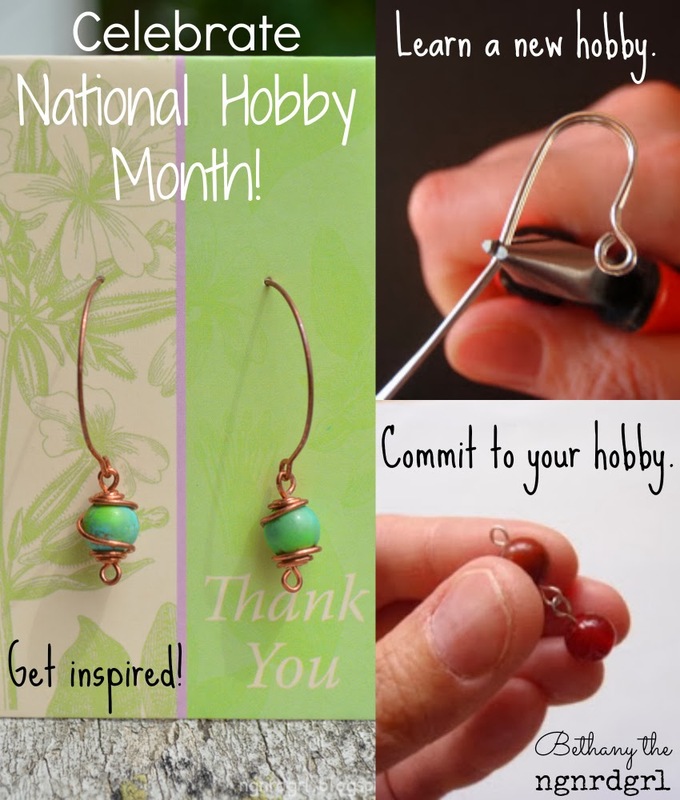 How do you celebrate National Hobby Month? Figure out what your hobby is. Write a list of related activities. Do an online search for ideas. Get ideas from friends and family. Commit to your new hobby. Evaluate your satisfaction/enjoyment of your hobby. Try to make money with your hobby. I have a few hobbies: jewelry making, photography, DIY/Crafting, woodworking and blogging. I made this blog to track my hobbies. This month I am going to focus on jewelry making. It is a great winter hobby as you can get all cozy on your couch, drink a hot beverage and work with your hands/tools on beading or wire working. Check out some of my resources at the bottom of this page for ideas on finding your hobby. Jewelry Making is a broad subject. My main interest has been wire working. 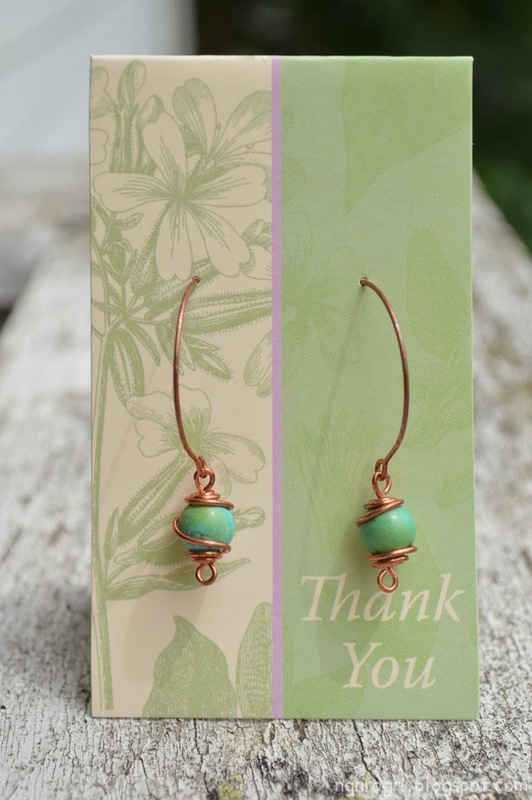 I chose this topic as I was really interested in making custom earrings and thought this was the best way to learn to make my own earrings. 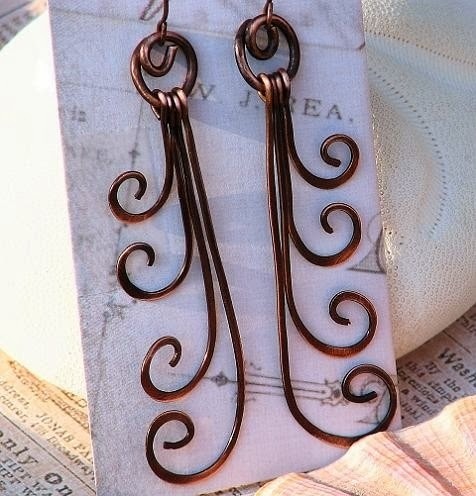 I guess I chose right, as I made a pair of earrings in my first wire working class. 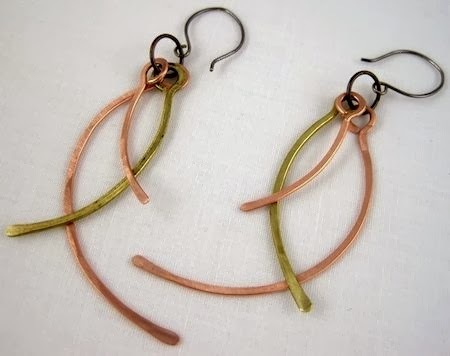 I also want to practice free form wire forming for making custom findings. A new skill I would like to learn this year is the butane torch for making headpins and more metal working. My first wire working class was focused on stringing beads together. Pinterest is seriously the best resource for finding cool new ideas for your hobby. 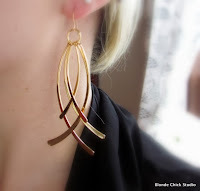 I have a Jewelry Inspiration Pinterest Board that I pin cool ideas that I think I could do. 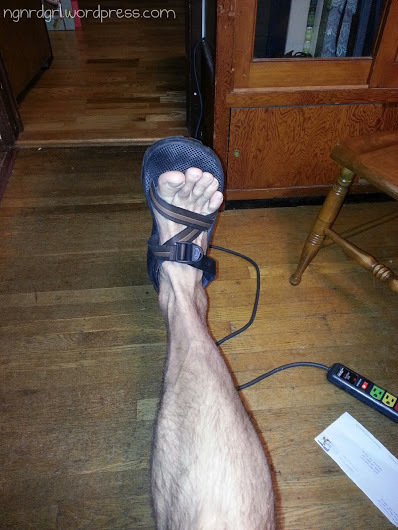 I also follow other jewelry aficionados. Follow Bethany the ngnrdgrl's board Jewelry Inspiration on Pinterest. The wiki guide says to talk to friends and family about their hobbies for inspiration. I have actually used this step for myself and also for getting inspiration for gifts for family members. I have a coworker who does jewelry making. My coworker and I exchange ideas and concepts, admire each others creations and talk about things we have learned. At the bead store I go to, you can hire out an instructor for a private class and invite your friends to attend. My coworker has been thinking about doing this and inviting some of her other friends who are interested in jewelry making as well as myself. I have another coworker who makes home brewed beer. I went and talked to her before picking out a home brew kit for my fiancé for Christmas. She gave me some tips and her recommendations for stores to check out. Now I know where to go when he needs more ingredients and supplies! My dad is into photography, so sometimes he and I will go on photo walks together. It’s nice to share a hobby with someone else, whether you have the same level of expertise or can assist each other in learning. these for my 1 year blogiversary giveaway. 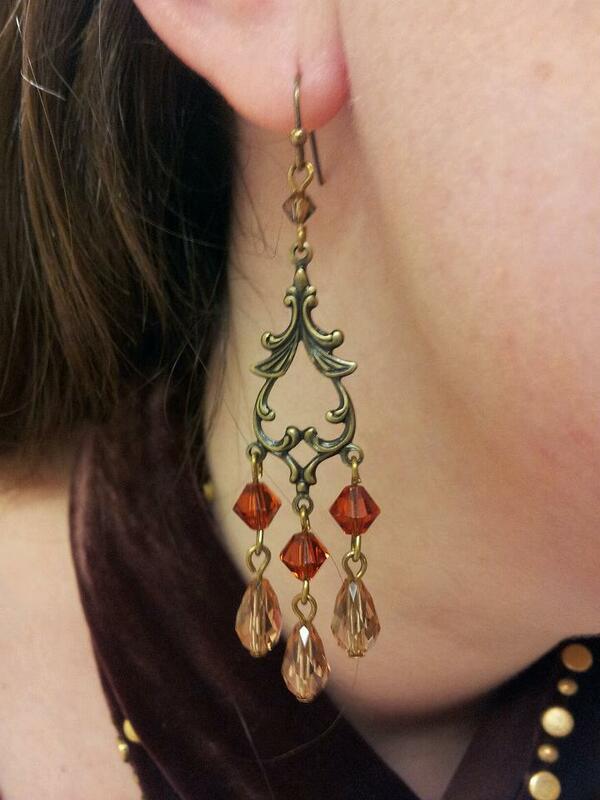 I LOVE how these earrings turned out. You can't be successful at your new hobby if you don't have some commitment. I've invested in classes, tools and supplies. I actually start this blog to keep track and commit myself to my hobbies. I know I am going to be very busy with work this month, so I am going to just do some baby steps. I want to do one project for myself this month. Once work cools down a bit, I want to take a class and get myself back into regular practice. I am a huge fan of time blocking. In order to commit to my hobbies, I'm going to block out time for my hobby on my calendar. When I first started my hobby two years ago, the very first step I took was enrolling in a beginning class. 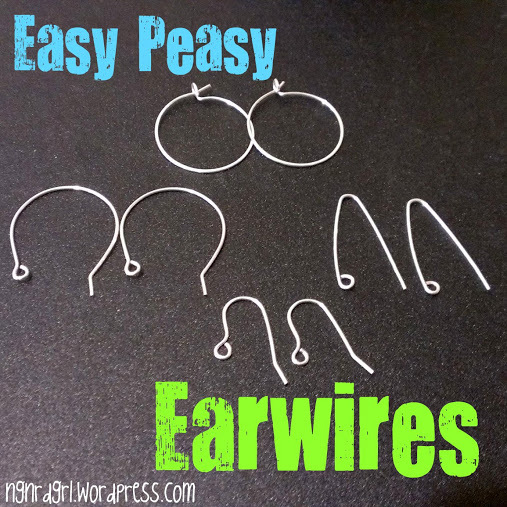 I took a Wire 1 class, which I then blogged about. Since then, I have taken four classes total and still want to take more classes! I want to take an intro to the butane torch. It teaches how to make your own headpins and using heat to work metal. I won’t have the time or energy to take this class this January, but maybe I will take it in February as a birthday present to myself. I really love making things with my hands. I like this hobby because it is relatively easy to get started and isn't a huge time sucker. Tools are minimal in size and cost. And classes are typically pretty inexpensive from your local bead store (their primary method of making money is by selling you supplies during/after the class). Decent jewelry plier sets (affiliate link) can be purchased from Amazon from $10 to $20. Check out my Wire 1 blog post for recommendations on tools for starting wire working. Introductory classes are around $25 from my local bead store. They also offer FREE mini classes. To give you an idea on the cost to make jewelry, my average cost of supplies for a jewelry piece is between $5 and $15, depending on how extravagant it is. The earrings to the left cost me $12.50 in supplies. This has been something I have been wanting to try for a while. I would LOVE to make some jewelry to put up on Etsy or a similar site. If I could make just a little money to pay for the hobby, that would be fantastic! Are you starting a new hobby this year? How do you plan on learning/investing in your hobby? Tell us about your new hobby and the steps you are taking in the comments below! I didn't know that January was National Hobby Month! I love how blogging keeps those hobbies going through out the year! My hat is off to you & your jewelry making! That is something I've never tried before, maybe next year! Thanks SO much for linking up to Hit Me With Your Best Shot! Hope to see you again next week! Love this post! And you certainly make gorgeous jewelry, my friend! I can't wait to check out more of your pieces! Hope you're having a wonderful week!